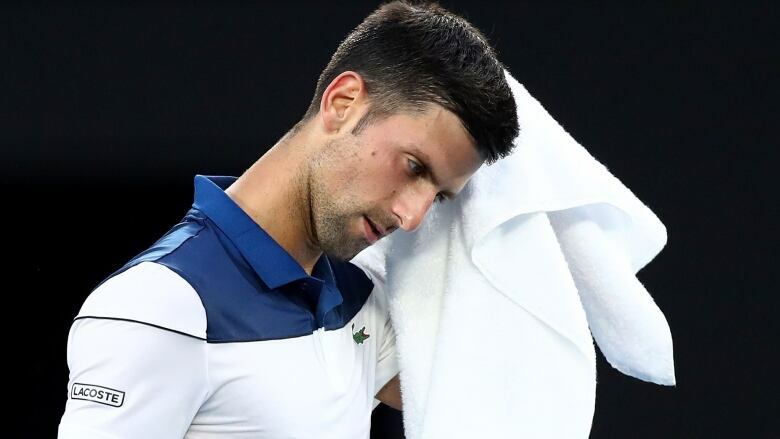 Six-time champion Novak Djokovic was stunned in straight sets by South Korea's Hyeon Chung not long after Tennys Sandgren upset No. 5 Dominic Thiem at the Australian Open on Monday. The season-opening major often throws up unexpected results, but the back-to-back upsets Monday resulted in a longshot of a quarterfinal: Chung, the first Korean to reach the last eight at a Grand Slam, vs. 97th-ranked Sandgren, who had never won a match at a major or beaten a top 10 player until last week. The 58th-ranked Chung relentlessly attacked Djokovic — who is playing his first tournament since Wimbledon because of an injured right elbow — in the 7-6 (4), 7-5, 7-6 (3) fourth-round win. 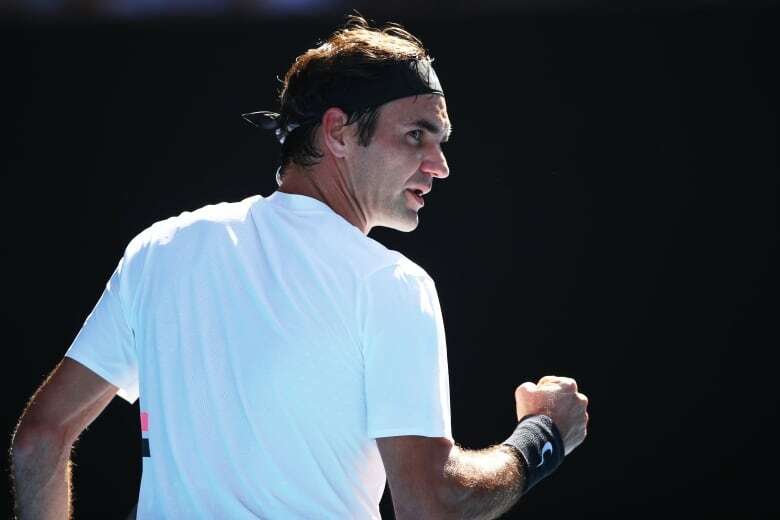 He ripped 47 winners, including a forehand on the slide and at full stretch on the baseline that put him within two points of victory. Chung credited the usually athletic Djokovic, who needed a medical timeout in the second set for a massage on his sore elbow, for the inspiration. Djokovic, who winced and grimaced throughout the match — particularly when stretching for backhands, said he'd need to reassess the treatment for his elbow. But he said he didn't want his injuries to detract from Chung's win. "Amazing. Amazing performance," Djokovic said. "Impressive. Whenever he was in trouble, he came up with some unbelievable shots. Just from the back of the court, you know, he was like a wall." "I don't know if this is a dream or not — all you guys are here, so maybe it's not," he said in an on-court TV interview after his 3-hour, 54-minute fourth-round win. "I'm not in my underwear, so maybe it's not a dream." The 19-time major winner had never played Fucsovics but had beaten his coach — Attila Savolt — here in the second round in 2002. For a while it appeared Kerber's progression could unravel against No. 88 Hsieh Su-wei, a former top-ranked doubles player with a double-handed grip on both sides, until she regained momentum for a 4-6, 7-5, 6-1 win. That earned Kerber a quarterfinal spot against U.S. Open finalist Madison Keys. With a mix of slice and chips, lobs and bunts, whippy half-volleys and wristy crosscourt ground strokes off both wings, Hsieh pushed Kerber to the extremes. "Credit to her. 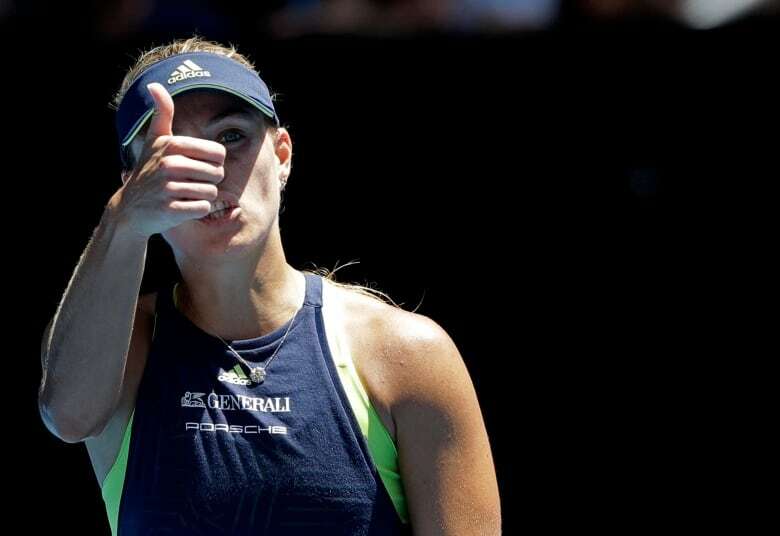 She played an unbelievable match," said Kerber, who won the Australian and U.S. Open titles in 2016 and is on a 13-match winning streak to start 2018. "I was feeling I was running everywhere." Halep will play sixth-seeded Karolina Pliskova in the quarters after Pliskova beat fellow Czech player Barbora Strycova 6-7 (5), 6-3, 6-2. The Taiwanese player took out one major winner — Wimbledon champion Garbine Muguruza — in the second round, and took the first set of Kerber. "I like to play freestyle," Hsieh, a two-time Grand Slam doubles titlist, explaining her unusual array of shots. "Like today I go on the court, if I don't have a plan then I do whatever I can."